You don’t need a ton of space to enjoy a garden, you just need a vinyl roof deck! With a bit of planning and a small investment, you can have fresh herbs, fruit, and veggies right on your deck or patio. So where should you start? 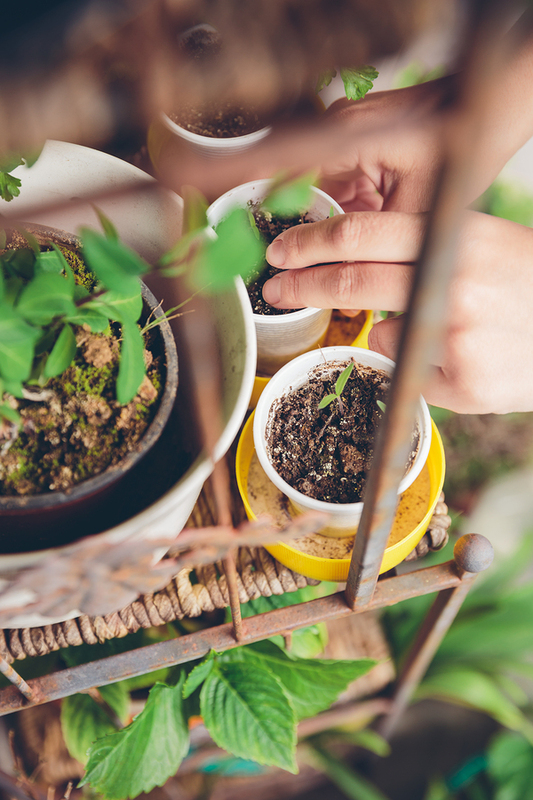 Soil, pots (depending on material), and water all add a significant amount of weight to a deck or patio – so before you begin your garden, ensure it can safely handle the weight. This might require the help of a contractor, but it’s well worth the investment. The last thing you want is to manually haul water up and down to your new vinyl roof deck garden, so plan out how you’ll get water up (and down). This could be as simple as running a hose line up to your roof deck, but we’d recommend some drip irrigation for full advantage. Big, bushy plants may seem like a good idea in theory, but if they sprout up more than three feet tall you’ll be impinging on your view. Depending on the view this might not be a bad thing, but it’s still something you’ll want to consider. The upside of plants is that many of them grow quickly and, if you need them to, can provide some screening between your vinyl roof deck and that of your neighbor’s. Bamboo is a terrific choice, but climbing vines are a good choice as well. Warmer months will typically capture your attention when it comes to propagating your vinyl roof deck with greenery, but leave some room for year-round (or autumnal) plants so you can enjoy your vinyl roof deck longer. Before you head in from your vinyl roof deck for the winter, consider planting a few bulbs (such as tulips or daffodils) so you can have a bit of color early the next year. Prior to importing dirt and plants to your new vinyl roof deck garden, have a thorough look over your vinyl membrane to make sure it’s holding up. The last thing you want is to find out that your vinyl surface is cracked, peeling, or bubbling, or that other issues are impinging on your vinyl membrane’s waterproofing ability. If needed, replace the deck surface before you head to the garden center.